We’ve all had leaders we wished would sit down and stop talking. Don’t be one. Realize that others don’t love the sound of your voice as much as you. 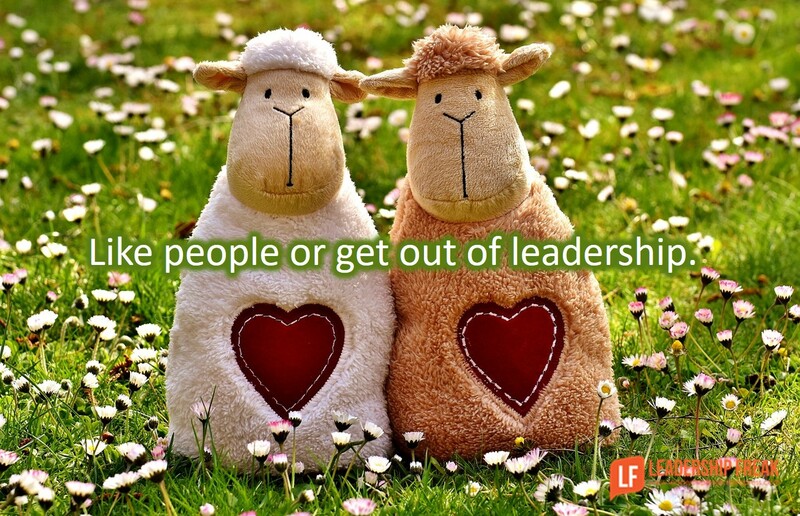 I think anyone that has been around leadership and presentations for a while has more than likely listened to someone that loves the sound of their own voice. i see the same issues when sales people try to impress a client by reciting, in great detail, everything they know about a topic – not giving the poor client the space to talk. I work with engineers who like to tell everything they know about the subject they’re presenting. I tell them that if they present everything they know, then the only questions they’ll get will be about things they don’t know. I tell the engineer it’s better to tell the audience what he thinks they want to know. Then, if he misses the mark, the audience will ask questions he can answer. This usually gets engineers to shorten their presentations. A must read for preachers. Thank you. Shared and forwarded. Dan, your post reminded me of the great question, “Why Am I Talking?” You’ve probably seen a few of the WAIT sites and flow diagrams to help us pause before launching into unwelcome soliloquies. Follow up, and what I put on FB. If you preach or are an aspiring preacher, this post is a must-read. #2 Judge your message harshly. Do you have anything worth saying? Always add practical value. – application is an absolute necessity. #4 Talk in short bursts. Adopt the general rule that you talk too long. – learn to preach shorter messages. TED Talks are short for a reason. #5 Hit the highlights. No one cares about the backstory except you. Some detail adds color. Too much is a snoozer. – Yes, Yes, and Yes. My congregation does not want the recipe, it wants the bread. Often the fruit of exegesis is fascinating, but it will not advance your point. Leave it in the study. #8 Begin with the conclusion. It’s irritating to try to figure out why someone is talking. Assume listeners have no idea why words are coming out of your mouth until you tell them. – I always set up the Scripture reading before the sermon. Why are we considering this text? People want to know, and I have about 45 seconds to engage them. #9 Add some inflection to your voice. – Authenticity is key. Be in the pulpit who you are out of the pulpit. – preachers need more than a handshake and “good job”. I try to ask how was the sermon helpful? Go deeper. #15 Like the people your talking to. Thank you for the followup, I have printed a copy to study and implement in my daily life at work. I love the WAIT acronym, it is a super way to remember to speak with purpose! God did give us two ears and one mouth. Thanks William. Love your dad’s quote. Nailed it! Really can’t say enough about ” short and to the point”, leave the sugar coatings out! Spot on, as always, Dan! I look forward to all of your posts and devour them. Thank you! Me too, Dan makes my day everyday! #3 if a ‘leader’ likes the sound of their own voice, makes me wonder if they are in the right role. #5 highlights blind, the backstory should be cared about, be important if not as important as the highlight, after all, this is where the highlight came from. Getting the balance between colour and snooze just right can be difficult, maybe adding in a ‘fun factor’ would help this balance. #10 again if a ‘leader’ subtly toots their own horn, makes me wonder if they are in the right role. #13 being yourself which includes genuine sincerity, can keep great audience attention. Outwith a group, even talking one to one, where no sincerity is detected, demeans the conversation. Additional tip – never come across with arrogance. Thoroughly enjoying your blogs. Introverts, beware of #4. It’s not a free pass. Once some of us (me) find a place that feels safe to talk, or the subject is one we’re passionate about, oh my! Great read! Quick and dirty and to the point – perfect. I like #2 the best – do you really have anything worth saying? Too often we jump in just to get a word in, when we may not need to. Thanks for sharing! JOIN TOASTMASTERS INTERNATIONAL and practice the skills to be a good speaker and leader! Excellent information even for Toastmaster.